Children loves birthday parties! 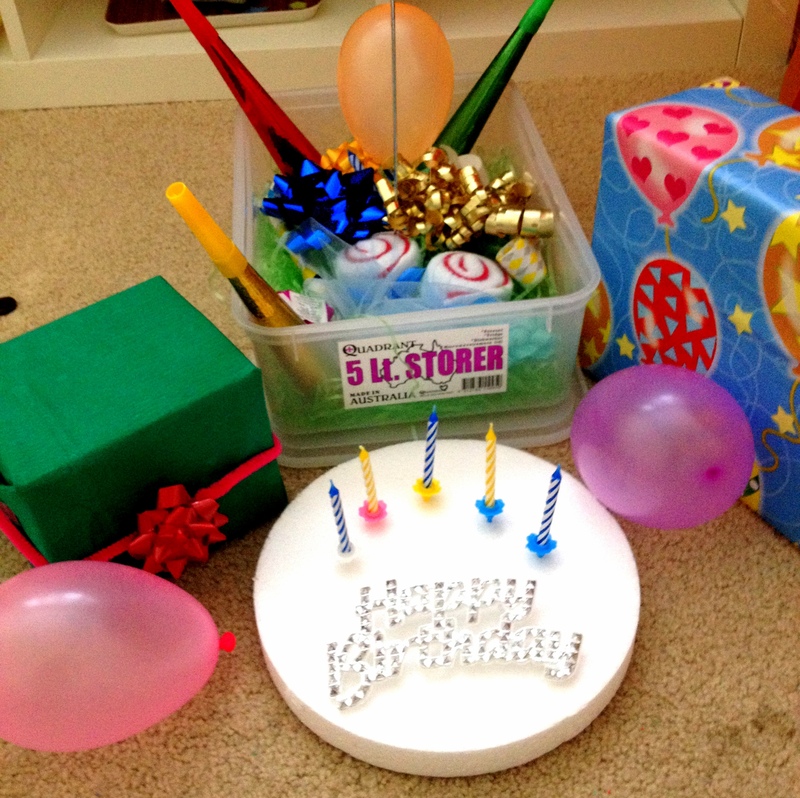 Here’s a compilation of things that we usually see during birthdays such as balloons, candles, cake (here I used pretend cake from Styrofoam), party blower, party banner, presents, and so on. Put it all in one box and let the child explore each thing. 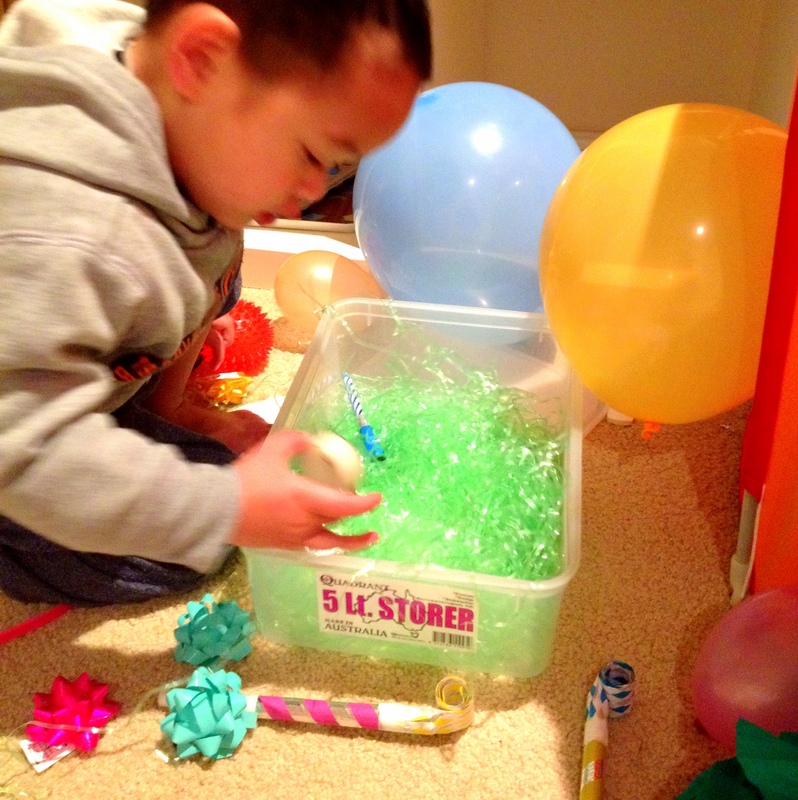 This activity is targeted for the any children between 1-5 years old depending on what you put in the sensory box. For example with a year old child, be selective with your materials to ensure no little parts the can put in their mouth. Also, always make sure to supervise when children play with candles. As he blows the trumpets, party blowers and candles – it influences the speech development as its exercises the muscle in the mouth / jaw. 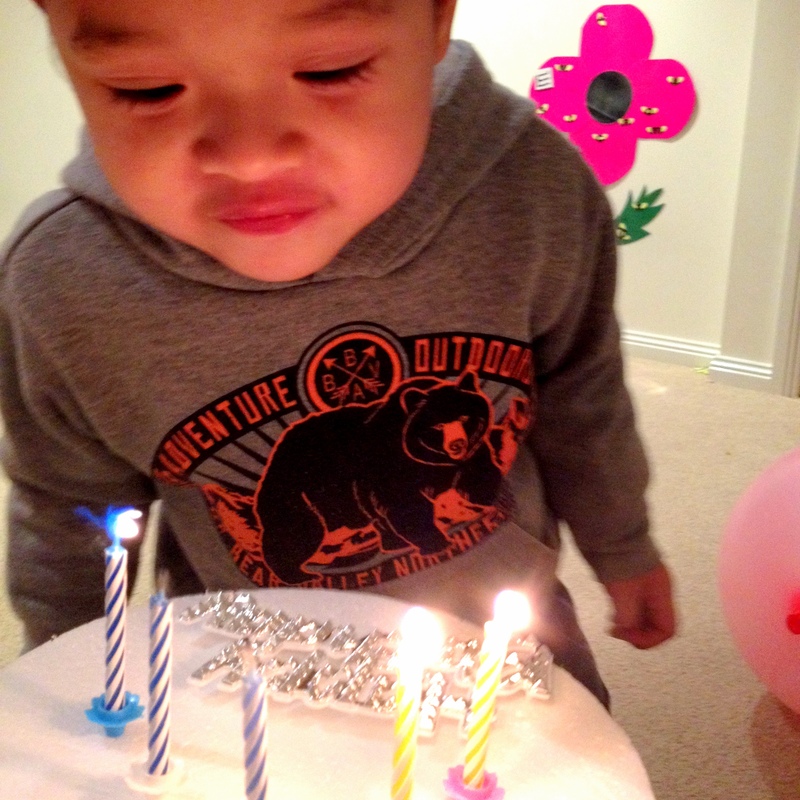 Language development as he was excitedly singing “Happy Birthday” song. To be able to count one to one correspondently is a very important skill in early math. Here Alex was counting the candles on the cake. 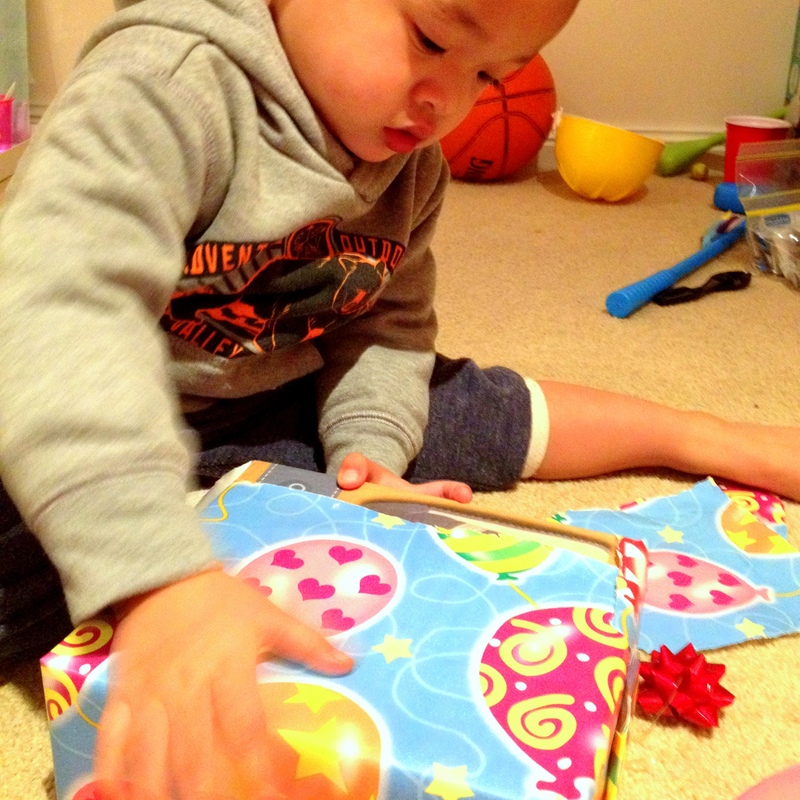 Opening the pretend presents is an activity to strengthen his fine muscles. Using his senses to feel different texture of the items in the box such as curly ribbons / bows; making noise using trumpets, etc. Posted in Sensory PlayTagged birthday, sensoryBookmark the permalink.